Kreative Jewels: I've Been Looking For You! I've been enjoying a wonderful vacation this past week. I've toured around our gorgeous island and I even managed to find some stamping time. I'm a lucky girl! I grabbed a few of my favourite new products and the Wednesday Stamp Club Sketch, and this card came together in no time! I can't seem to put away my Geek Is Chic Glasses, I just LOVE them! For this card, I die-cut them in Red Hot and Berrylicious card stock. I added a few hearts from the Heart Doily Die-namics and a thick layer of Crystal Effects to give them that shine. 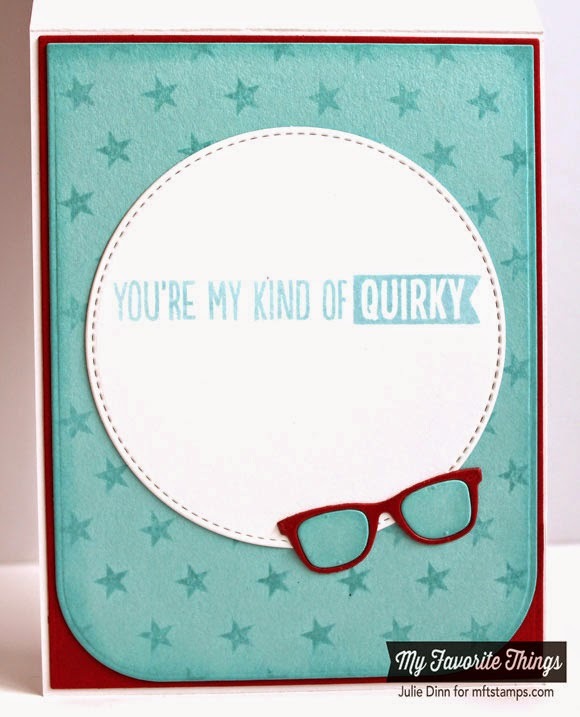 The sentiments are from the Geek is Chic stamp set, they were both stamped in Berrylicious Hybrid Ink. 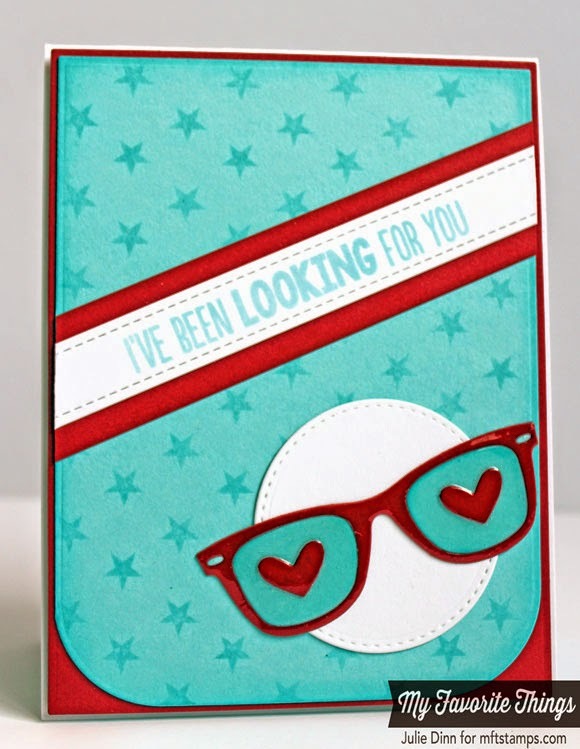 I used the Blueprints 10 Die-namics to create the curved background panel and I stamped it with the Star Background. Be sure to check out the MFT Blog to see all the fabulous creations the Design Team and our fabulous customers have created. This is so cute. Love the hearts in the glasses and sentiment. Pretty colors too.